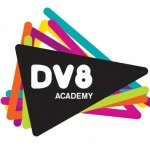 Industry In The Streets (IITS) provides a range of consultancy services for Dv8 Academy as the free school prepares for launch in Sept. 2014. The IITS creative dept. designed the Academy logo, ‘Re-Imagine Education’ campaign, 32-page prospectus, promotional videos and all marketing materials. In his role as Dv8 Academy Ambassador, IITS MD Fusion will also be developing a cutting-edge enterprise curriculum to help spearhead Dv8 Academy’s drive to nurture a new generation of entrepreneurs.